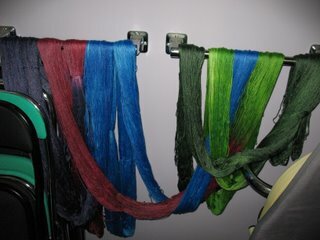 Okay, so we survived the winding and it was time to dye! 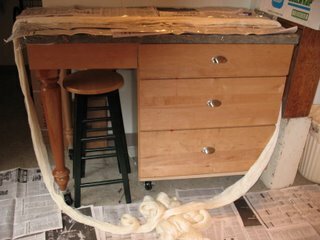 Here is the skein set up to go. 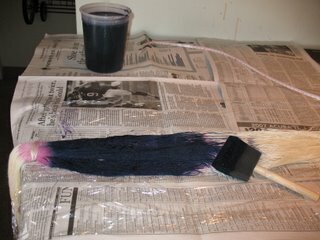 You actually apply the dye with a sponge paint brush to the dry yarn. 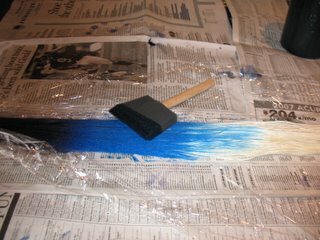 It gives you more control over where the dye goes and reduces how wet the yarn gets. 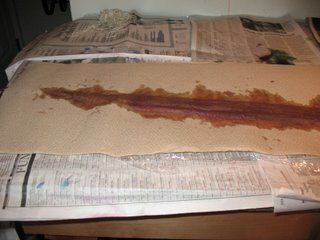 I still had to blot it with paper towel to keep it from being too soggy. 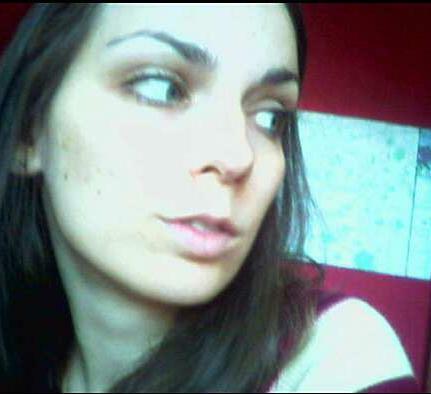 I changed colors every 3-4 yards. It is my goal for each color to be about four rows long though the red and the light green will be a little shorter since I was running out of room. 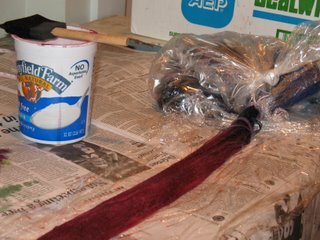 This way of applying dye takes quite a long time. I thought it would take me about 1 1/2 hours to get this done and it ended up taking 3 1/2! Finally, though, I did get to the end of the skein. 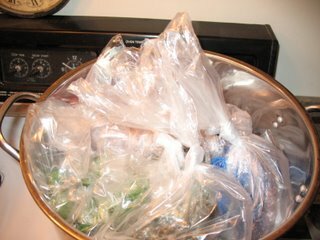 I had it all wrapped in plastic wrap by then but decided to tie each color in it's own plastic bag for steaming. After all that work, I didn't want one color bleeding onto another. I think I would have cried. Anyway, into the steamer for 45 minutes. That is more than the usual half hour, but again, I wanted to be sure it was well steamed. spun it in the washer and hung it up to dry. It is almost completely dry today. Guido and I are going to wind it into a ball tomorrow morning. I may lay it over the radiator tonight to make sure it is bone dry. I've found that if this yarn is at all damp, you can't get a correct weight on it. 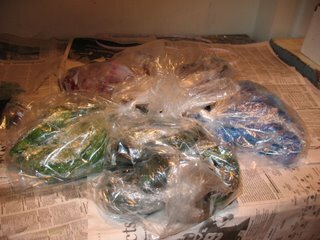 Sock club people-your yarn should be wound off and ready to go this weekend! I can't wait to see how it knits up!! Everyone else (hi Taylor! 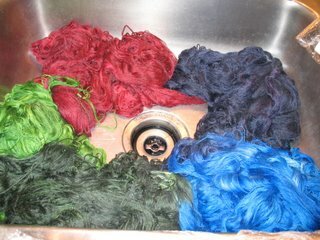 )-I just updated my Etsy site with the other yarn that I dyed on Tuesday. Enjoy! How exciting! I'm so bummed I didn't join the sock club-next year I guess! OMG! I can't wait to come pick up my skein!!! Woo-hoo! Yay! It's like a birthday present! That. . .I. . .paid for? Whatever, I don't care, just bring on the awesome yarn.